Five Boy Scouts and one Venturer met President Barack Obama on March 25. Here’ the video of President Obama receiving the 2014 Report to the Nation. In the April 2015 CubCast, hear how to find quality Cub Scout leaders. Do it right, and you’ll know the pack’s in good hands when you decide to move on. The new Cub Scout program arrives June 1, but what happens this summer with the Cub Scout day camp you’ve already started (or finished) planning? What percentage of Boy Scouts become Eagle Scouts these days? And what percentage of Boy Scouts throughout history have earned Scouting’s highest honor? Teenage guys applying for a job, interviewing for a scholarship or dressing for prom need to know how to tie a necktie. It’s an essential guy skill. Venturer Katie Casserly never knew how much the Scout Motto — “Be Prepared” — would apply to her life until she was diagnosed with cancer last fall. 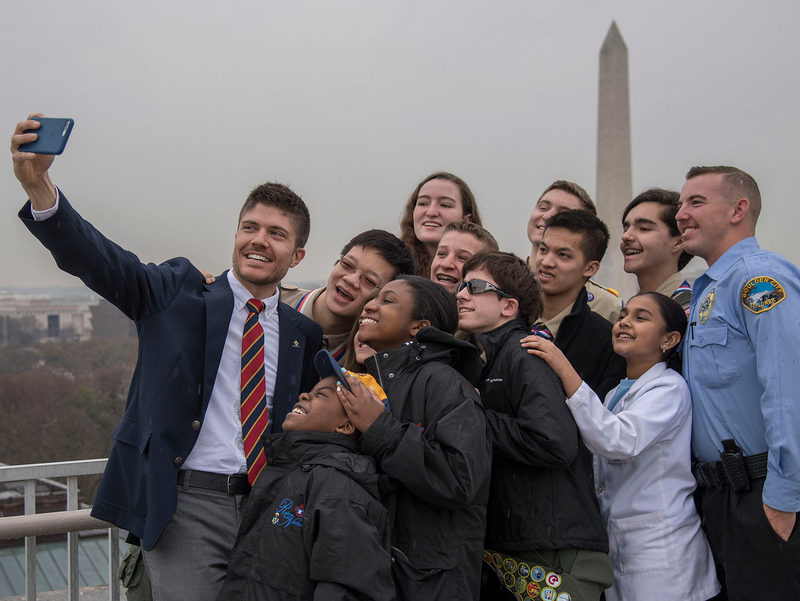 Jillian Infusino, National Venturing Vice President, was part of a Scouting delegation that presented the 2014 Report to the Nation to President Obama. Scott Teare, the former director of the BSA International Division who now leads World Scouting, explains the relationship between BSA and World Scouting. The 2014 merit badge rankings are out, and there’s a new king. The Cooking merit badge unseats the First Aid merit badge, which had long been champ.